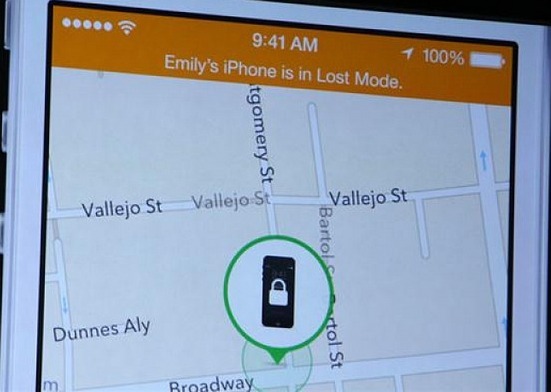 The intended role of Apple’s Find My iPhone feature ends when your iPhone or iPad falls in the hands of nefarious scammers, as has been shown by a recent incident in Australia. Some iPhone users from the land down under have reported receiving alerts from a hacker saying their Apple-built mobile devices have been locked and, in order to regain full control of their gadgets, they need to pay $100 to $136 via PayPal – a case of ransomware. And it is odd that despite the device being locked, a message was made to pop up on the screen. The incident shows that the iOS feature that is designed to help users locate their iPhones or iPads when they have gone missing could also be used by hackers so that the feature does more harm than assistance. How could this happen? It might be that the hackers have managed to extract user names and passwords from company databases, including Apple’s iCloud. As a result, attackers were able to activate the lost mode status of the devices whose owners had their sensitive information breached. Consequently, a number of users in Australia, North America and Europe found that their smartphones and tablets have been remotely locked and held by ransomware when they would try to open them. Some users, upon accessing the iCloud, found that the lost mode was activated on their devices but that they were barred from restore control of their devices because a ransomware has been activated as well. Apple really has a lot more work to do with respect to bolstering the security of the Find My iPhone/Find My iPad features as it is clearly easy to manipulate by hackers. Which is unfortunate because more users rely on it in cases when they would actually lose their phones. If ever you fall victim to this kind of malicious scheme, you must quickly change your iCloud password at once and never think of dispensing dollars for the scammer. You can still regain administrative access to your device by circumventing the lock screen using the instruction provided on Apple’s support page or factory-resetting the device. Another way of bringing back your iPhone to its original state is to shut down the device and long-press the Home and power buttons at the same up to the moment when Apple’s logo begins displaying. Then proceed to the general settings menu to reset your phone in order to delete previous customized settings and apps. When sign back in to your Apple account, you will need to enter a new login data.